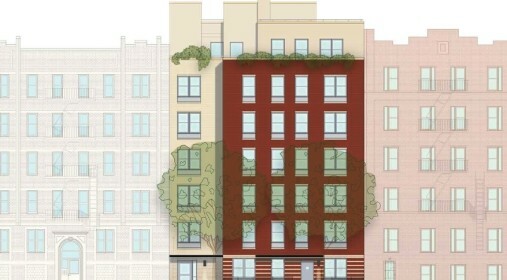 LIIF provided Fordham Bedford Housing Corporation (FBHC), a northwest Bronx community organization with a 30-year track record of affordable housing development, with a $4.8 million construction loan to acquire a vacant city-owned lot and develop a new energy-efficient affordable rental property. The new development, Tiebout Green, will be a seven-story, 20,000-square-foot building with a rear courtyard, green roof garden terrace and community room. Featuring a mix of one- and two-bedroom units, Tiebout Green will increase the stock of affordable housing options for the Bronx’s fast growing population. The construction financing included a $1 million subordinate loan from the New York City Department of Housing Preservation and Development Low Income Program (LIP) and $5.6 million in federal Low Income Housing Tax Credit equity. LIP ensures that all units will be affordable to households earning up to 60% of AMI and reserves some units for families earning 40% of AMI or the formerly homeless.